This is an awesome opportunity to experience world flute master (and Eau Claire local) Peter Phippen. He will be the guest of the World Cultural Center, a project spearheaded by our neighbor, Anne-Marie Bittner, also known as Nanou. The event is from 7 to 9 PM. Each month she sponsors an experience in world culture at Our Savior’s Lutheran Church, 1310 Main Street. Recently I experienced two of her offerings, presentations on South Korea and another on Kenya, given by well informed and entertaining guest. 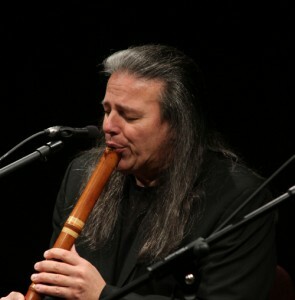 Peter Phippen is well known in this country for his mastery of the flute. Here is a free way to hear him in an intimate setting. Because refreshments will be served, RSVP Anne-Marie at 833-1633, or nanoub@charter.net. Nanou often celebrates her French origin. Thank you, Nanou for bringing the world to our Eastside Hill.